Watch this amazing video created by Laurent Chanez for Christie’s about The Making of an Icon: Yves Klein’s FC1 (Fire Color 1). This work of art was executed in 1962, the year of the artists premature death at the age of 32. It is considered to be the most important of Klein’s works ever to go to auction. The masterpiece is expected to sell for between $30-$40 million at Christie’s Post-War and Contemporary sale on May 8, 2012. 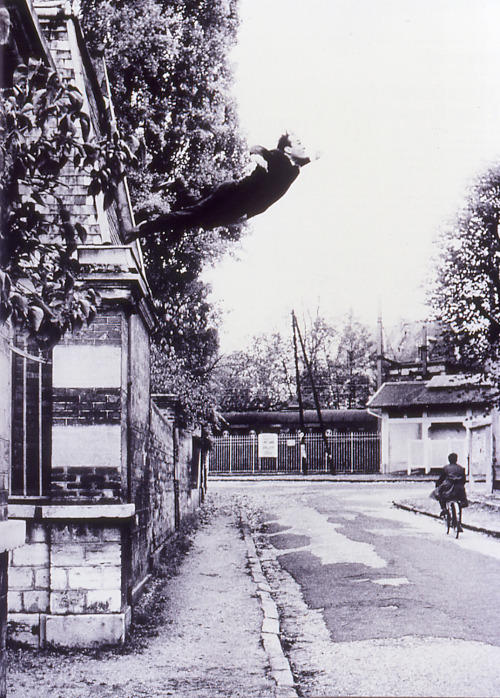 Artist Yves Klein patented his own color, International Klein Blue (IKB), in 1960. The next year, he designed a low, simple form table filled with the pigment. 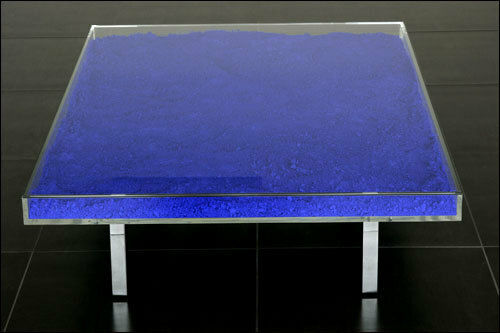 Beginning in 1963, Yves Klein’s widow, Rotraut Klein-Moquay supervised an edition of the table that came in three options: ‘Table Bleue’ (filled with Klein International Blue pigment), ‘Table Rose’ (with rose madder) and ‘Table D’Or’ (containing 3000 sheets of gold leaf).